Acuvue Oasys for Astigmatism from Johnson & Johnson are exceptional toric contact lenses. These toric lenses are two weekly lenses. 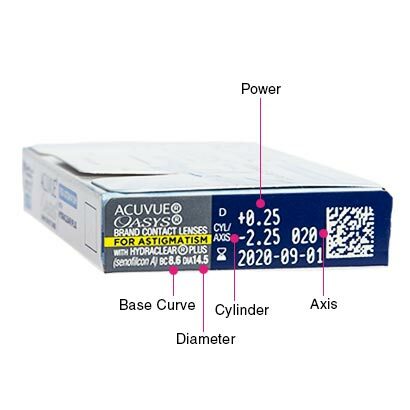 Acuvue Oasys for Astigmatism works amazingly to correct visual distortion and blurred vision caused by astigmatism. These lenses are highly comfortable and deliver crisp and clear vision. 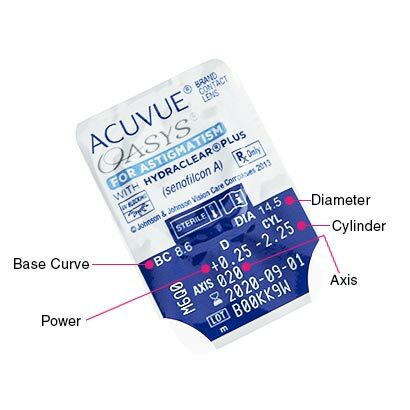 Acuvue Oasys for Astigmatism are designed in a way to maintain comfort for your eyes. Hydraclear Plus Technology ensures that the silicone hydrogel lenses remain hydrated for as long as you wear them. It keeps the lenses moist and supplies adequate oxygen to let the lenses and your eyes breathe. As these are two weekly lenses, they can be worn daily and taken out before going to bed. To maintain hygiene, it is always necessary to clean and store the lenses in contact lens solution. It is important to replace each set of lenses once every two weeks. 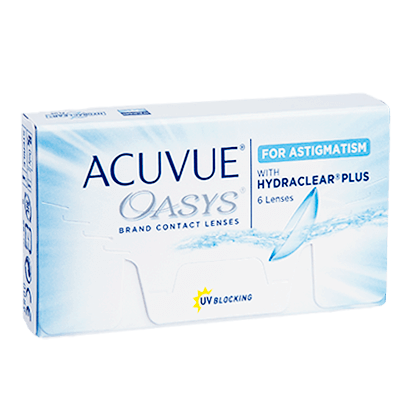 Acuvue Oasys for Astigmatism by Johnson & Johnson can also be worn for extended wear, which means you can wear them all day and night for as long as a whole week, without needing to remove them. This wearing schedule is best suited for travelers, or those working long hours. However, it is first advised to contact your optician to make sure that extended wear is suitable for your eyes. Biofinity Toric lenses are recommended as alternatives to Acuvue Oasys for Astigmatism.